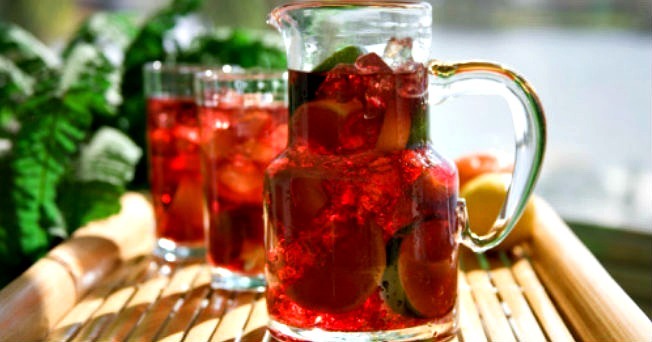 A very simple, basic sangria recipe. While this sangria is delicious as is, this recipe intentionally leaves ample room for improvisation and additions, and should therefore be used as a springboard to create your own unique sangria recipes. The unaltered basic sangria recipe below, however would meet with the approval of strict sangría traditionalists. Combine all the ingredients except for the club soda in a large punch bowl or serving pitcher, mixing well. Refrigerate overnight. Immediately before serving, mix in the club soda for added fizz. Ladle into cups with ice cubes.